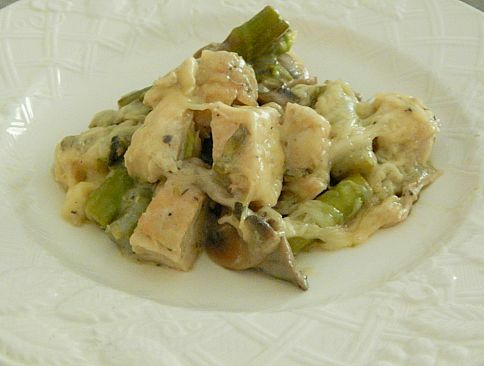 This Chicken Tetrazzini recipe is one that I discovered from The Zone Diet. The Zone Diet is a diet that worked well for me to loose my pregnancy weight, but then also to turn into a lifestyle because it is basically just making healthy choices. The main thing that distinguishes The Zone Diet from other diets is that each meal time and snack time should have a proper balance of protein, carbs, and healthy fats. So even if you want to have an apple for a snack (carb), you would need to pair it with a protein, such as cottage cheese and a healthy fat, such as 4-5 almonds. 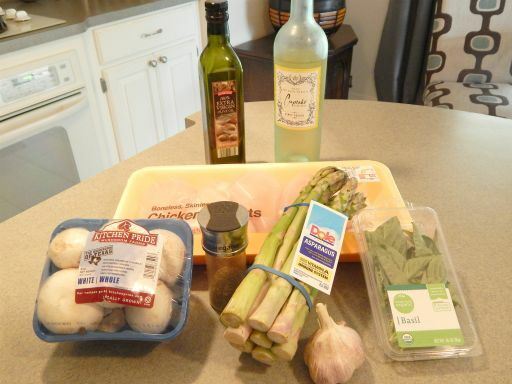 This Chicken Tetrazzini is a perfectly “zoned” meal! But best of all, it is delicious! My whole family loves it, and they don’t even realize it is from a diet book! Shhh! 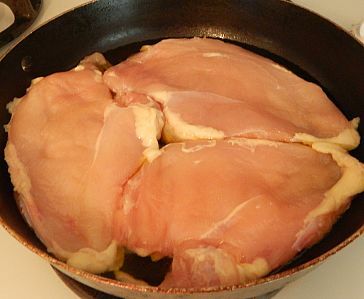 First, cook the chicken breasts in a skillet on the stove with a little olive oil. 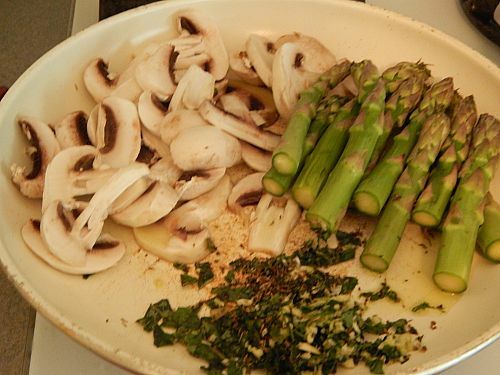 In the meantime, cut your veggies and sauté them in a little olive oil and wine. 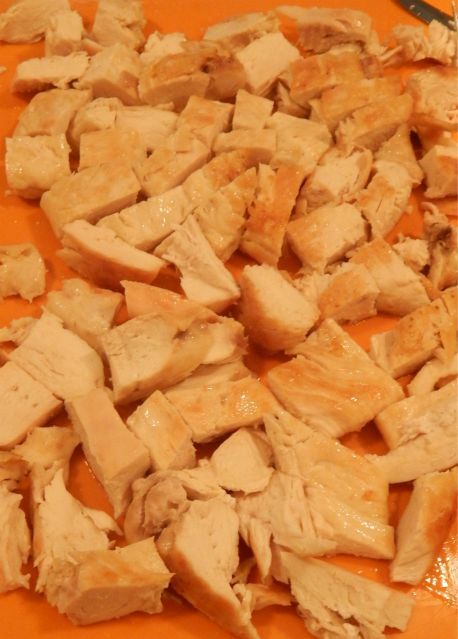 After the chicken is cooked, cut it into bite size pieces. Then combine the chicken with the veggies, and add the cream of mushroom soup. Stir it well and bring to a boil. 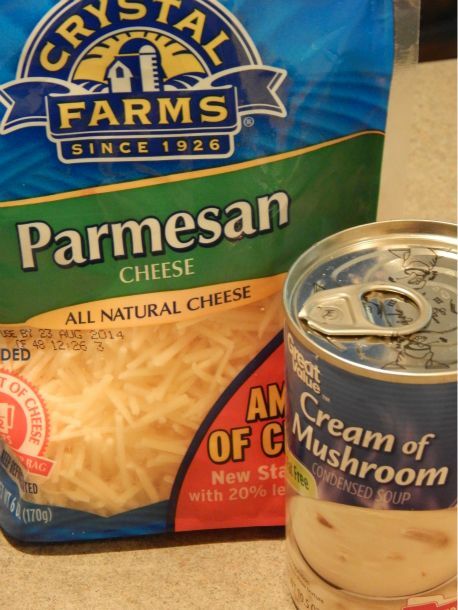 Turn off the heat and add shredded parmesan cheese. 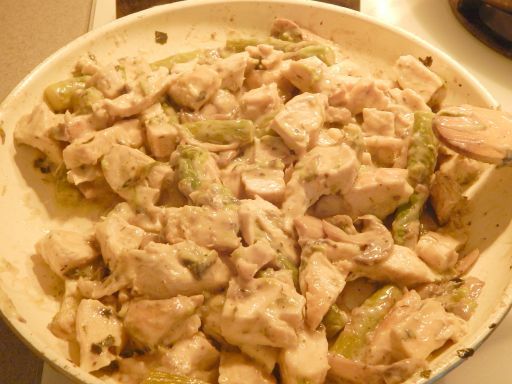 Finally, enjoy a deliciously creamy chicken dish without the guilt!